The big draw for Spider-Man: Homecoming is that it’s the first solo Spidey movie to see Peter Parker exist in a world with other Marvel heroes. The best way of demonstrating that is to feature arguably the MCU’s most popular character, Robert Downey Jr.’s Iron Man, in a prominent role as Spider-Man’s superhero mentor. It seems like the sort of key idea that would have always been there, especially as Tony and Peter’s relationship was set up in Captain America: Civil War. As it turns out, though, a different MCU hero was originally set to star in Iron Man’s place. 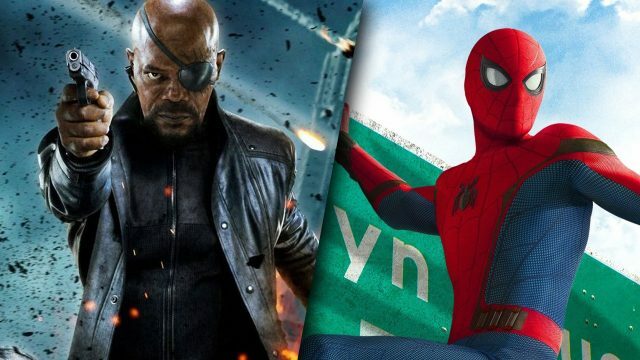 Speaking to Io9, Homecoming director Jon Watts revealed that Nick Fury was his first pick for Peter’s mentor in the movie. The site notes that while Tony was the “obvious choice,” Watts told them that he had “created images of Fury as Spidey’s mentor in early mood reels.” This was before he got the job though and we’re unsure of how far the idea actually went before Iron Man was chosen for the role. As fans will pick up on, having Fury guide Spidey through the tricky world of superheroism would be a much more comic book canonical choice. After all, the Ultimate Spider-Man comics explored this teacher/student partnership quite well, and it was also lifted over to Disney’s same-titled animated series. While it would certainly have been nice for Samuel L. Jackson to have a more prominent part in an MCU movie again, as his role in the proceedings has been greatly diminished since he brought Earth’s Mightiest Heroes together in The Avengers, for the big screen version of this story, Iron Man probably works best. The double hero heft of having both Spidey and Iron Man in the same movie is just too good to miss. We’ll get to see Spidey and, er, Starky in action when Spider-Man: Homecoming arrives in theatres on July 7th. If you’re curious to find out how the new reboot stacks up to the last two trilogies, you can consult our review here.